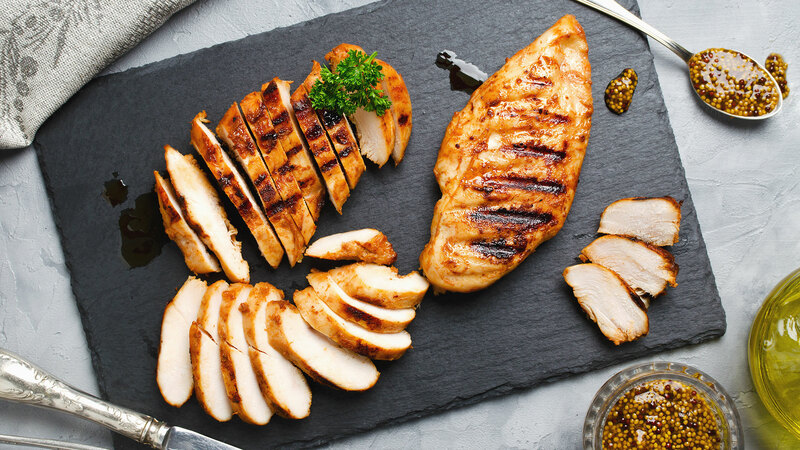 It’s easy to do: cook and serve dry, tasteless, overcooked grilled chicken. But an easy way to combat this (and make you want to try your hand at cooking a juicy piece of chicken again) is with a flavorful marinade. Follow and whip up one or all of these marinade recipes for grilled chicken, and you’ll undoubtedly impress everyone you serve — especially yourself. One essential tip before you get started, though: Ideally, you want to give your chicken plenty of time to develop the flavors that they are marinating in. We suggest you prep and marinate the night before or at least several hours before you fire up the grill. In a bowl, mix the lime juice and zest, oil, soy sauce, honey, pepper and garlic, and season with salt and pepper. Mix well. Add the chicken breasts to a large zip-closed bag and pour the marinade over top. Close the top and toss the chicken. Marinate overnight or until ready to grill. In a bowl, mix the balsamic vinegar, olive oil, honey, brown sugar, soy sauce, garlic and onion powder, and season with salt and pepper.